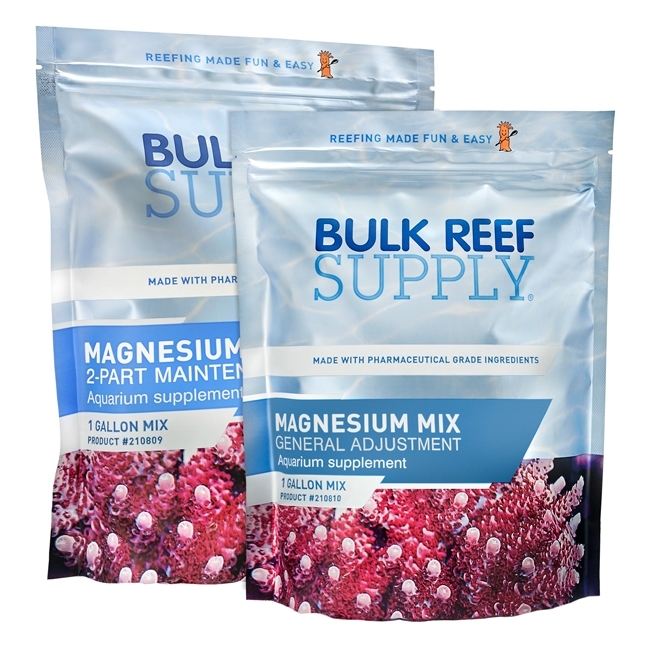 BRS Total Package kits include Pharma Calcium, Pharma Alkalinity, and Pharma Magnesium additives that can be mixed with RODI water to make three different solutions that you can dose to your coral reef tank. 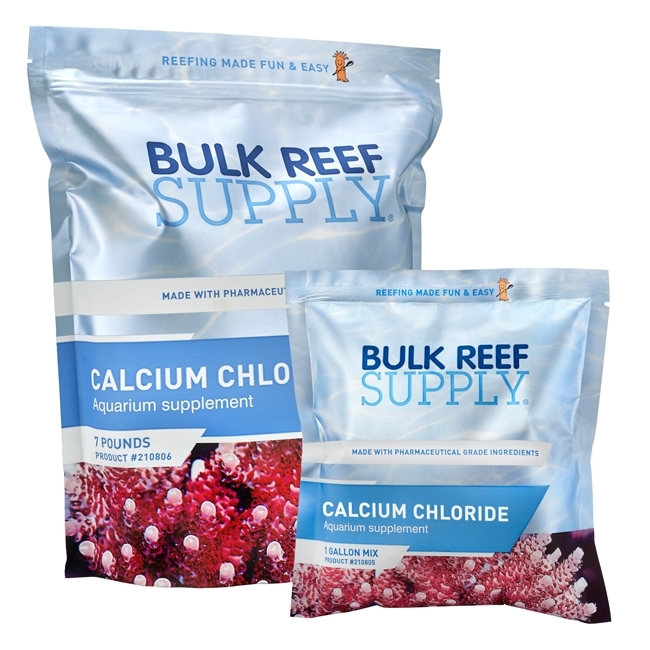 As corals grow they intake calcium and alkalinity, and depending almost every reef aquarium will need to supplement those three elements to ensure they are always available for corals to consume. When it comes to an easy to follow dosing system the BRS Total Package is easily one of the most inclusive systems for 2-part dosing. Each Pharma additive is made with ultra-pure ingredients that will mix crystal clear and much faster than other calcium and alkalinity additives on the market today. 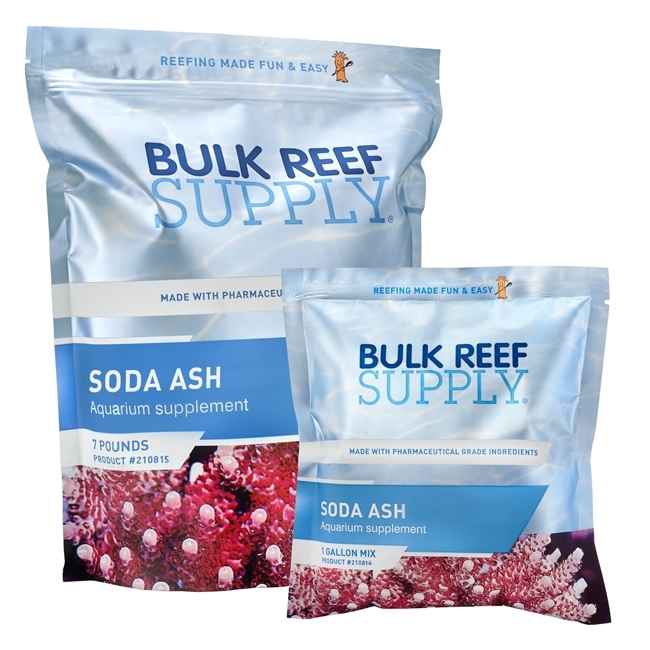 Using the BRS Pharma additives is very simple, and you will need to mix each one into a 1-gallon solution, and then with a little testing and the BRS Reef Calculator, knowing how much you need to dose is made super simple. It is very important to check your aquarium salinity first, because if that is off, your testing results will not be correct. If your salinity is low, then you can expect other parameters to be low, where if your salinity is high, more than likely you will have other parameters that are elevated as well. After you aquariums salt level is right, then the next parameter to test and dose for will be magnesium. In simple terms, magnesium allows calcium and alkalinity to reach much higher levels in your tank, and without the right amount of magnesium, precipitation will occur and keeping other levels balanced is almost impossible. The last two, calcium and alkalinity can be done in either order, but we do recommend testing and dosing calcium before alkalinity since the calcium solution is much less likely to precipitate. It is a good practice to monitor your aquariums salinity and pH while you are dosing 2-part additives. Since they are basically concentrated solutions of salt, after larger additions it is common to see the tanks salinity elevate slightly.